Sometimes normal processes in our bodies result in unstable free radicals, which damage other cells on contact and create more free radicals. Some common vitamins, like vitamin C and E, counteract the free radicals and prevent damage. This makes them antioxidants. Antioxidants stabilize free radicals by offering an electron, without becoming a free radical itself. They can be found in fruits, vegetables and animal products. Phytochemicals are only found in plants, and most of them act as antioxidants. Phytochemicals are found in colorful fruits and vegetables, so it’s really important to eat a large variety. Shoot for the whole rainbow! Not only will you be getting lots of healthy phytochemicals, but you’ll be getting tons of other vitamins and nutrients. Keep this in mind next time you’re filling up your grocery cart and make it a game: incorporate a fruit or vegetable of every color into your weekly diet. Soon you’ll be doing it every day and your heart and body will thank you! These fruits and vegetables contain lycopene and anthocyanins. They offer some great benefits like preventing cancer, especially prostate cancer, and improving heart health. Good sources are watermelon, tomatoes, pink grapefruit, strawberries and raspberries. Fruits and vegetables like oranges, pumpkins, carrots, peaches, and yellow peppers contain carotenoids. They also reduce the risk of heart disease and help to prevent cancer of the esophagus, stomach, and lungs. The body also uses these to create vitamin A, which is beneficial to our immune systems. All of our greens have chlorophyll and some contain lutein. Chlorophyll helps to reduce the risk of colon cancer and lutein may help with vision. Some good sources are broccoli, peas, leafy greens, zucchini, and pistachios. Blueberries, eggplants, plums, and grapes contain anthocyanins like the red fruits and veggies. They are especially good for keeping blood vessels healthy and improving memory. Let’s not forget the anthoxanthins found in the white fruits and vegetables like mushrooms, potatoes, cauliflower, garlic, and onions! These foods can lower cholesterol and blood pressure and reduce cancer risk like all the other antioxidants. For more amazing articles check out the Fill Your Plate blog! If you need more inspiration for recipes with fruits and vegetables check out the recipe section on the Fill Your Plate website. 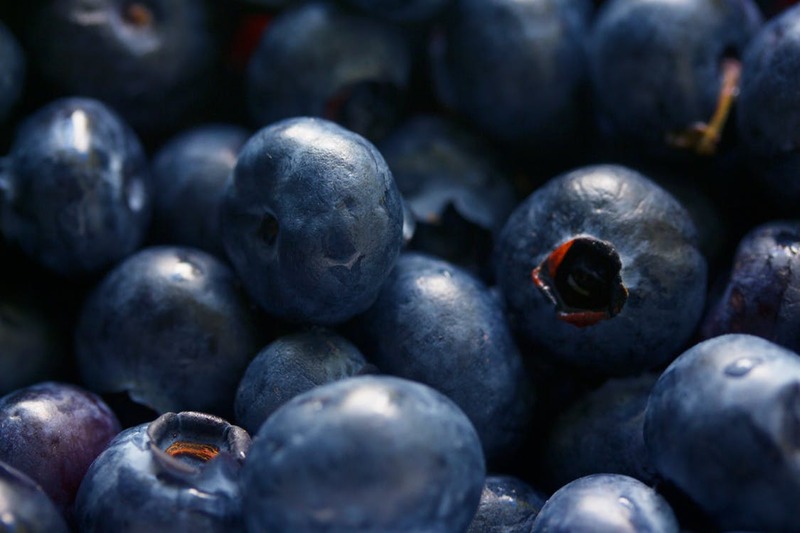 This entry was posted in Cooking, Diet Tips, Fill Your Plate, Food, Food Facts, Fruit, Grocery, Health Tips, Healthy Eating, Produce, Recipes and tagged Antioxidants, blueberries, Eating, food, Healthy. Bookmark the permalink.